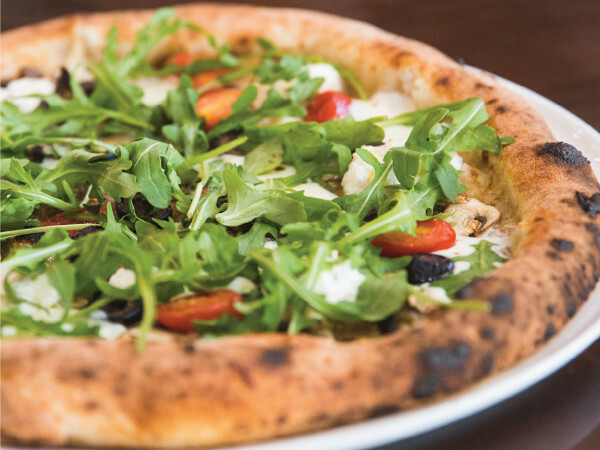 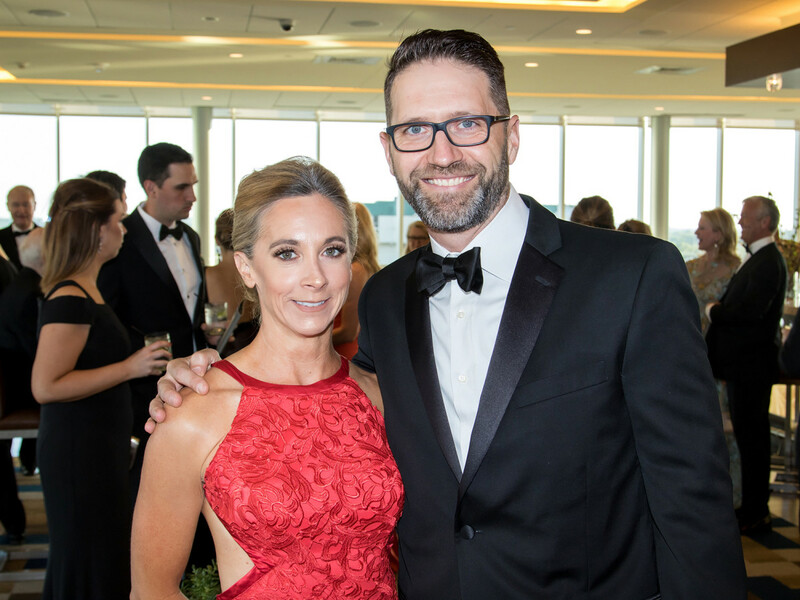 Dallas is known for a lot of things — big hair, for example — but we think its most enduring legacy will be fundraising for the world’s most important causes. 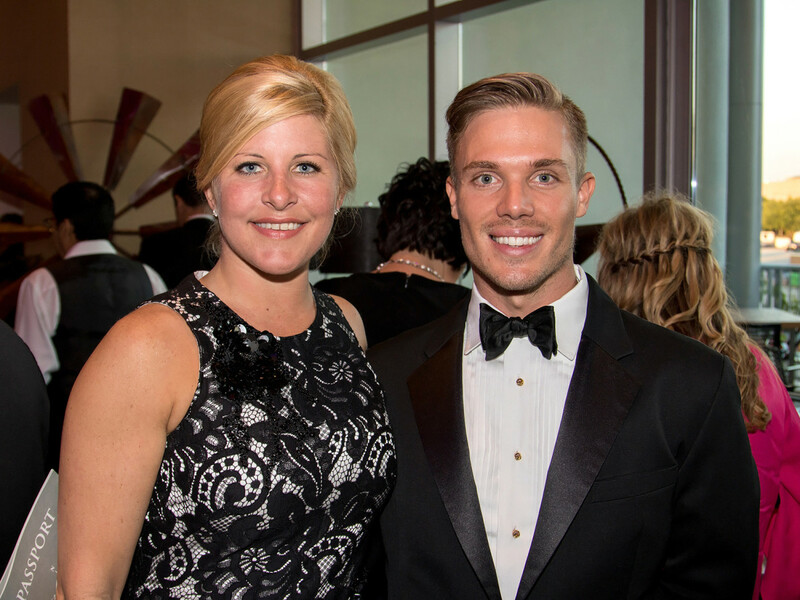 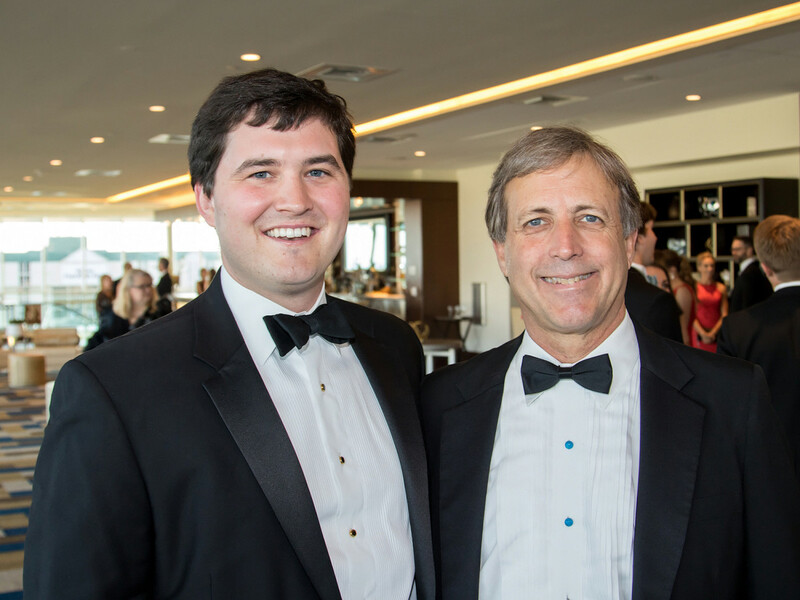 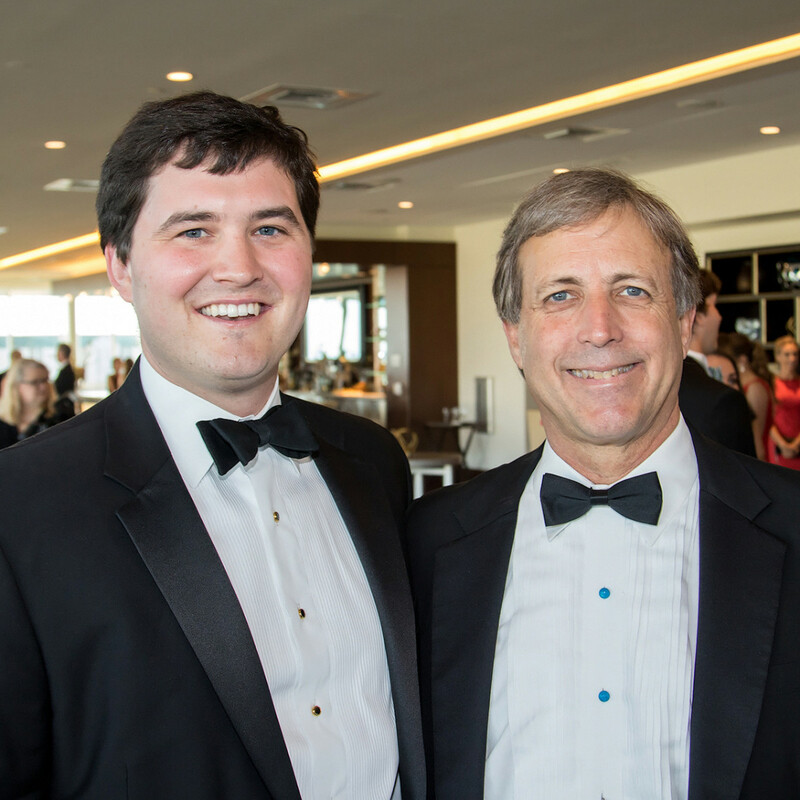 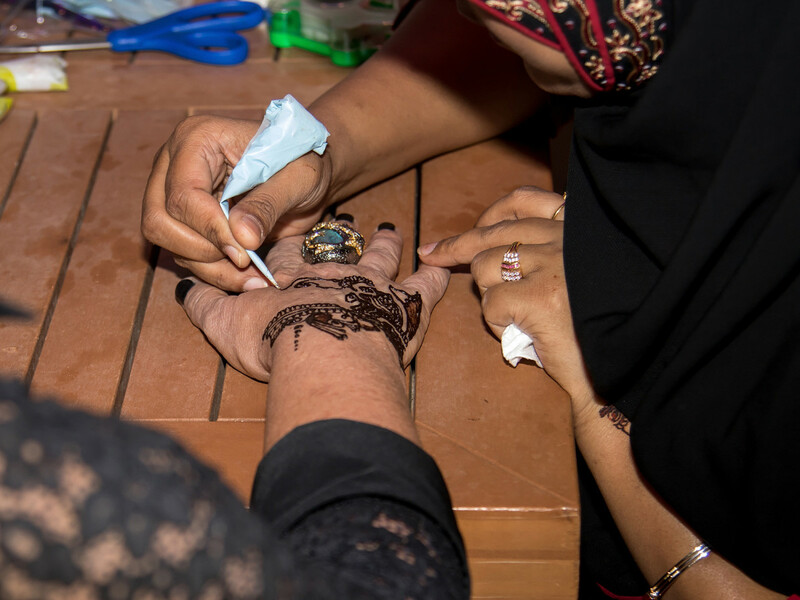 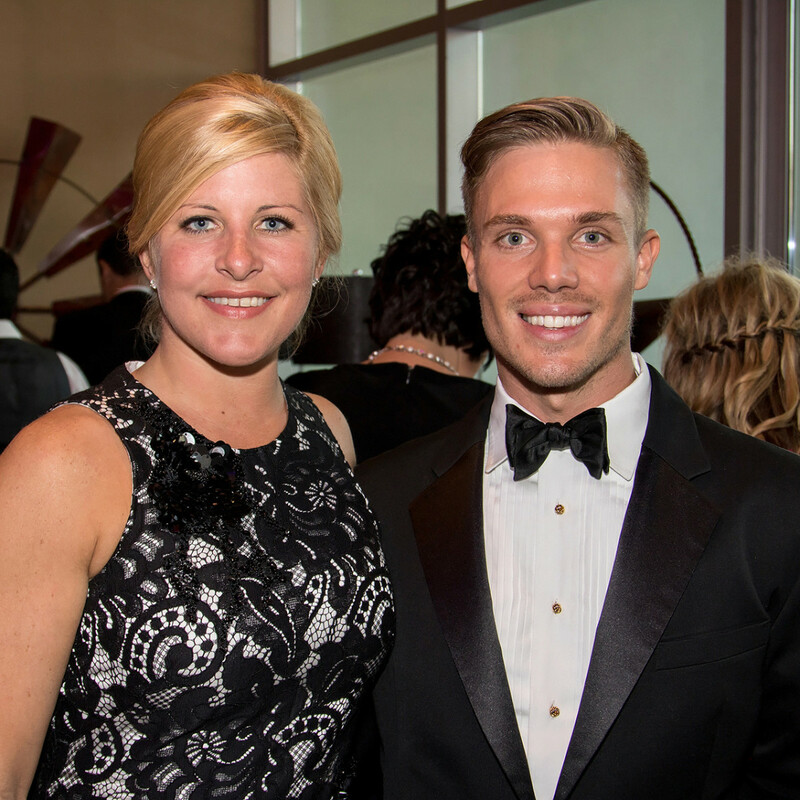 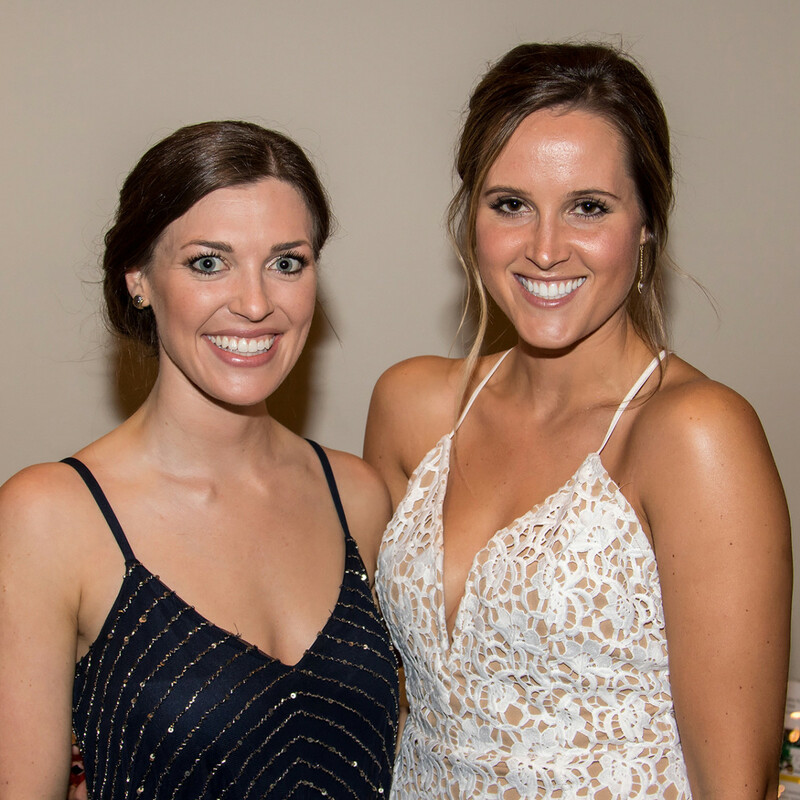 The city’s young professionals are upholding this important tradition through impressive organizations like the Yellow Rose Gala Foundation and its annual gala. 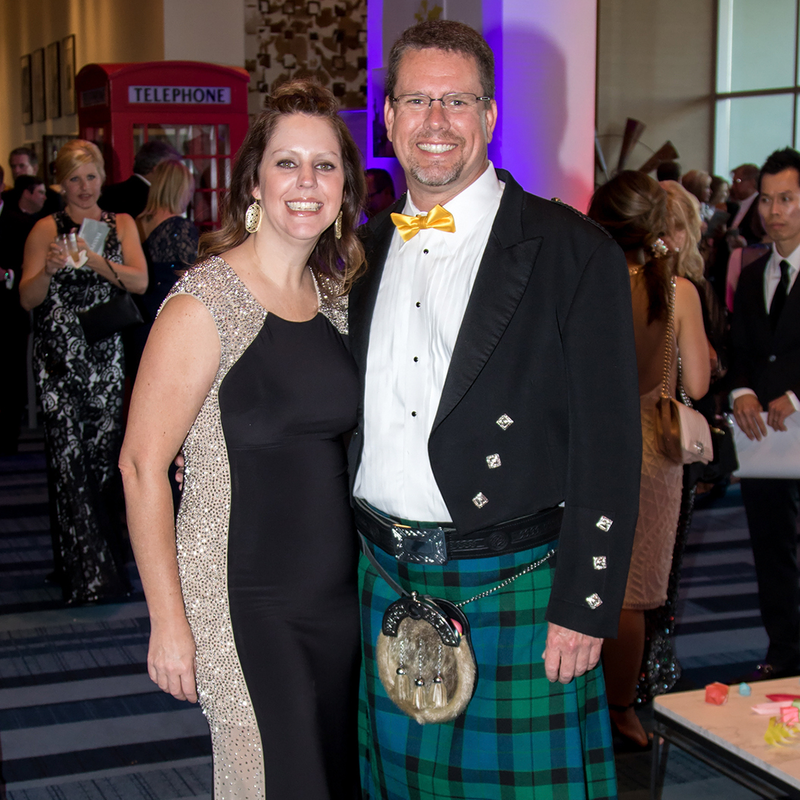 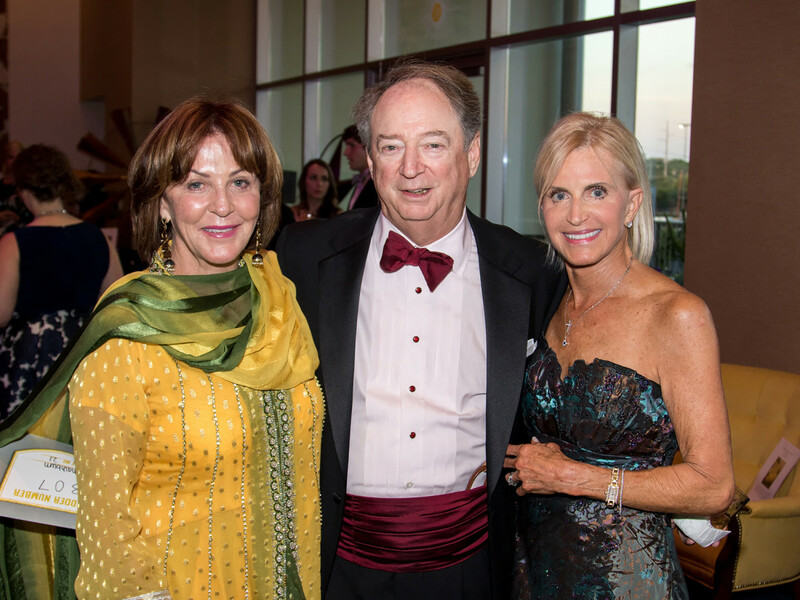 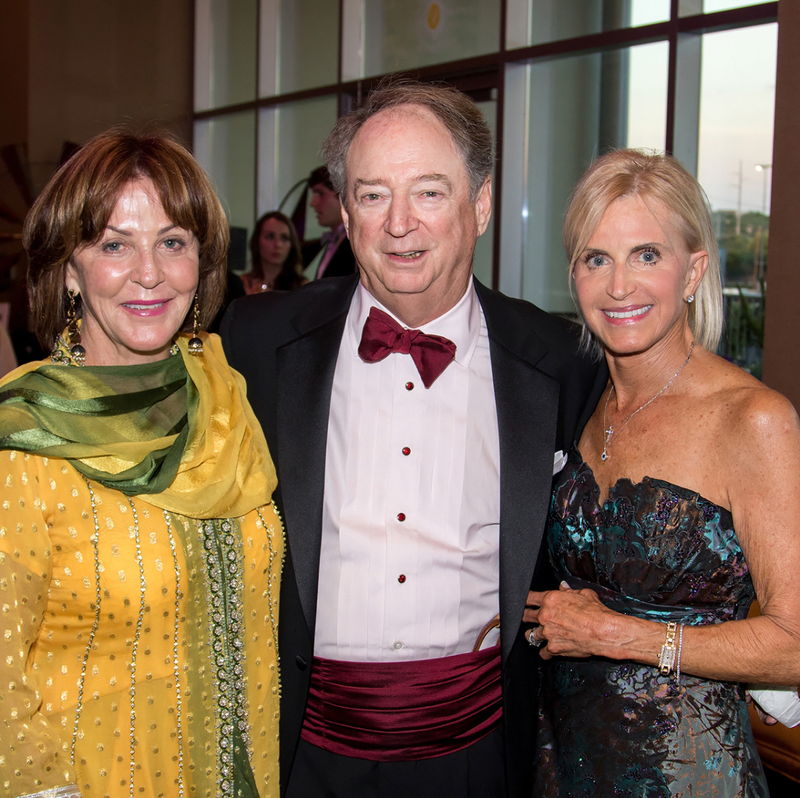 The Yellow Rose Gala itself upholds an important tradition, one established by Dee Wynne back in 1986, when the first event was held in Dallas. 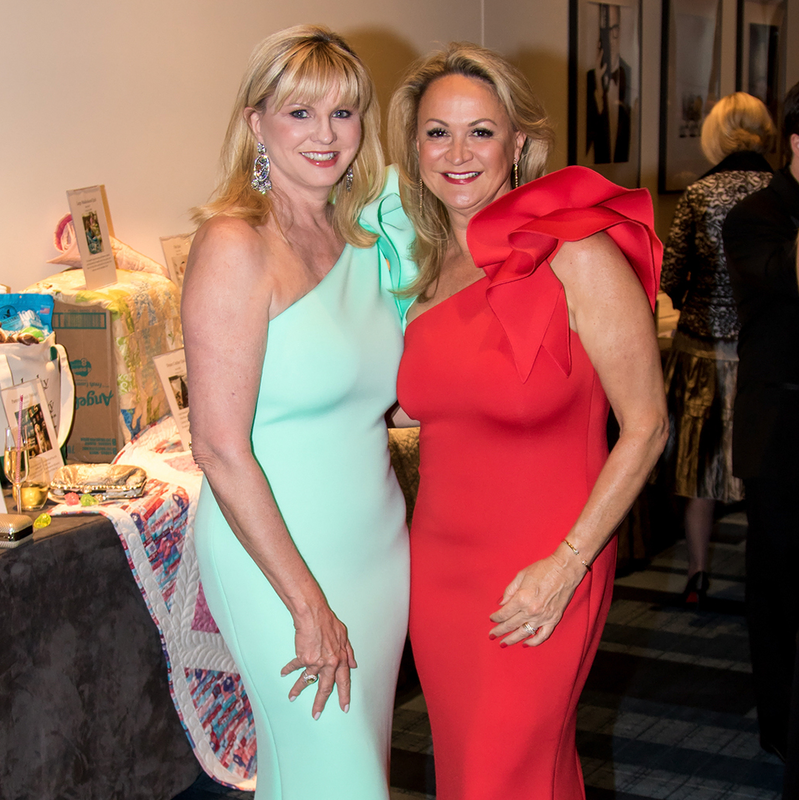 Until 2001, it was one of Dallas’ most anticipated social events, raising millions for multiple sclerosis, a disease from which Dee herself suffered. 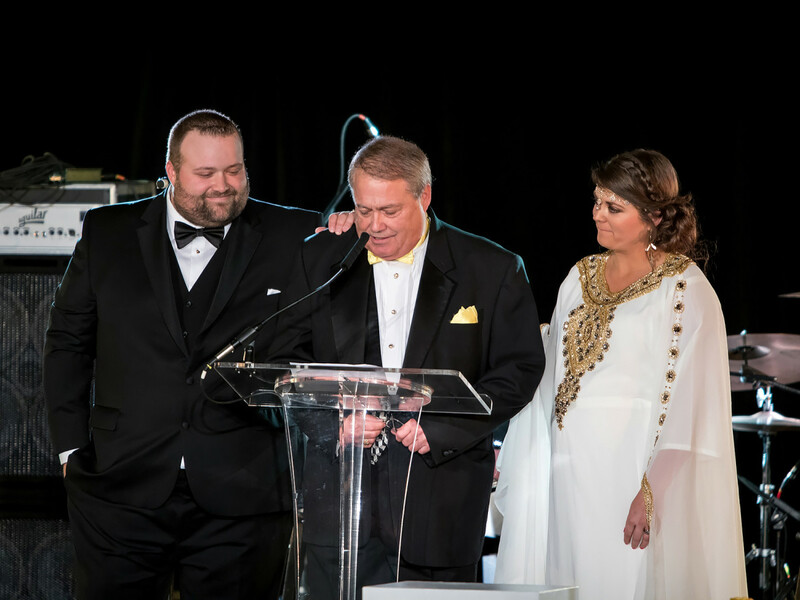 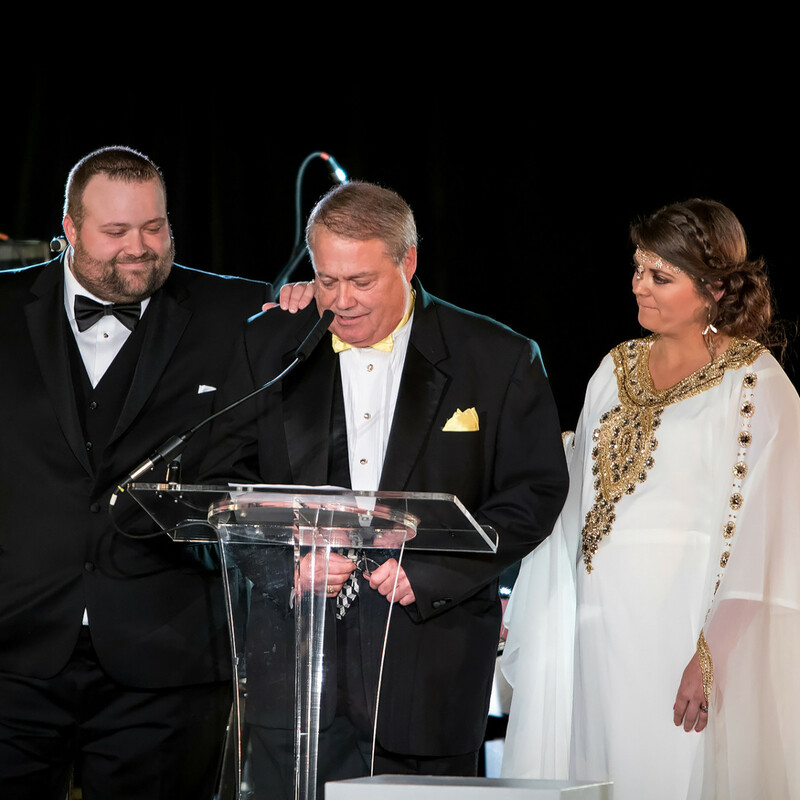 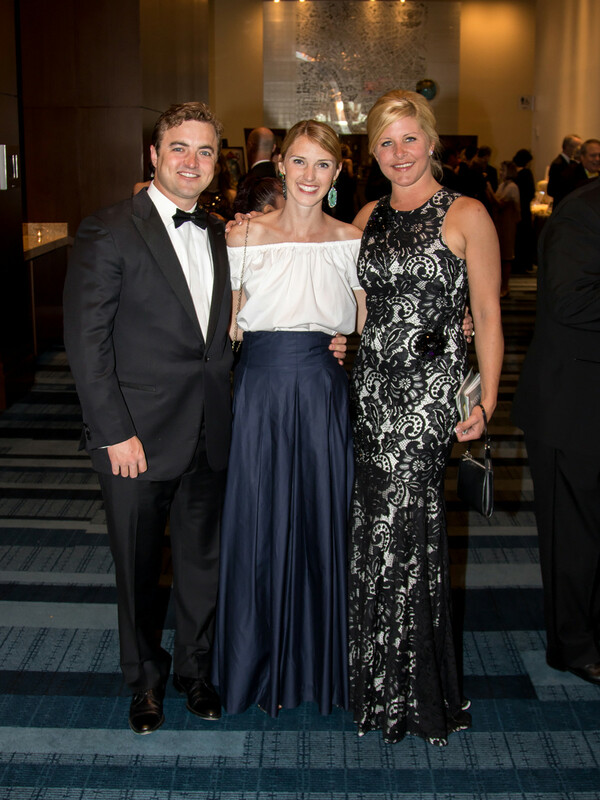 In 2016, Dee’s daughter, Fallon Wynne Way, restored the gala in her mother’s honor, with help from brother Todd and dad Jimmy. 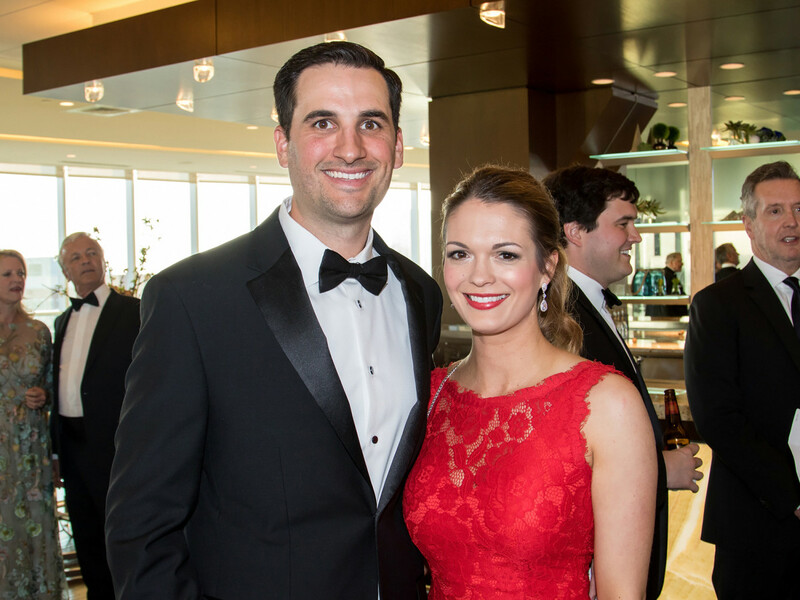 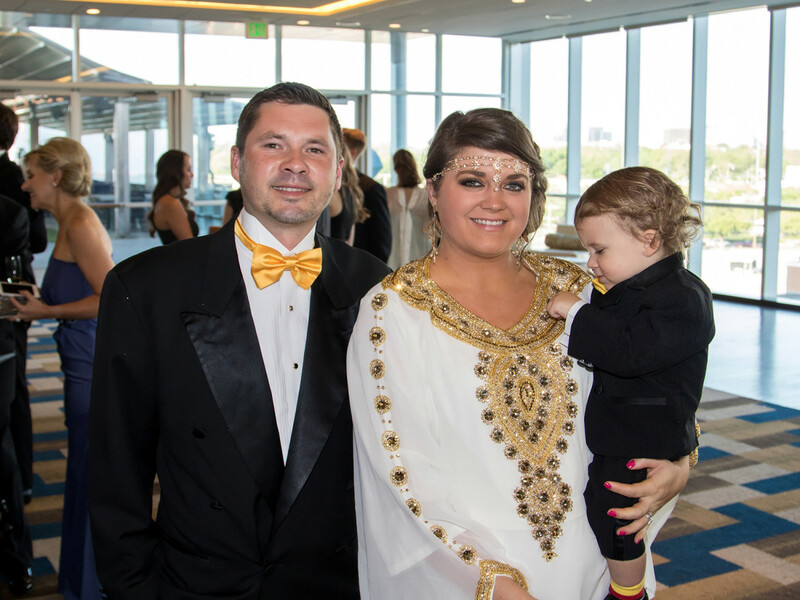 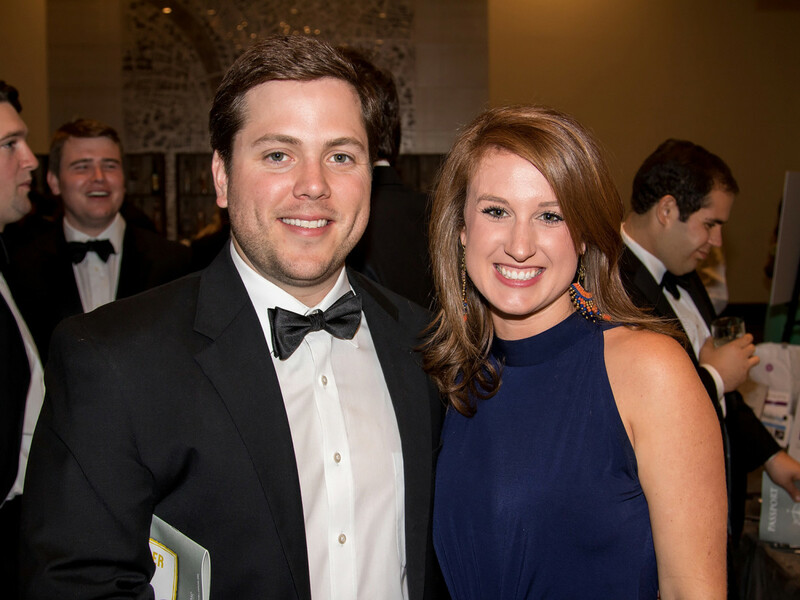 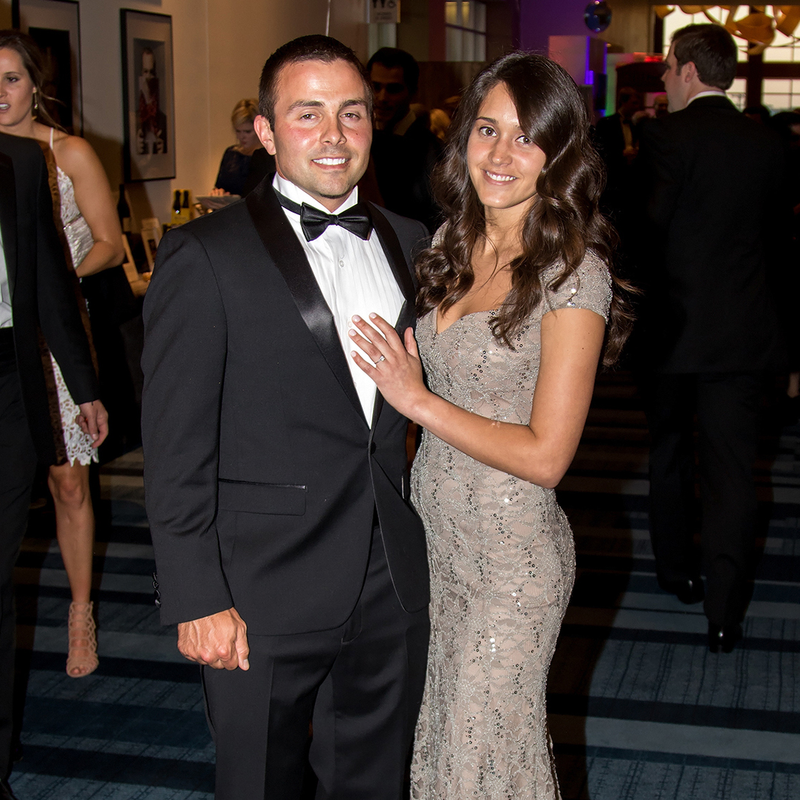 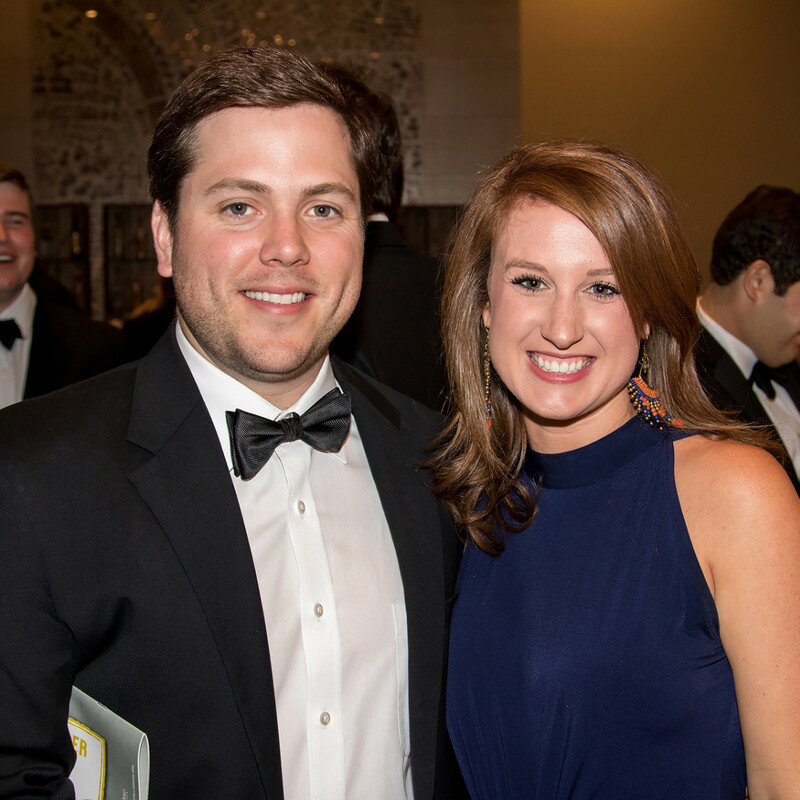 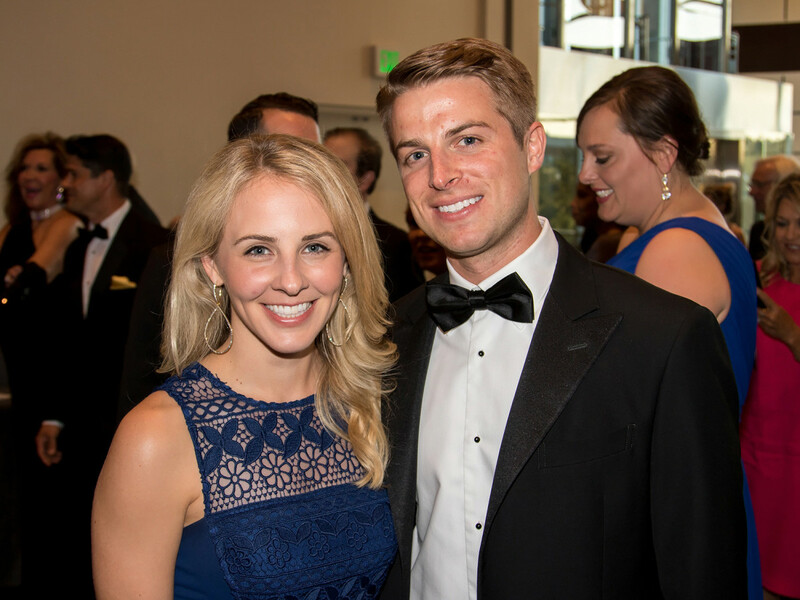 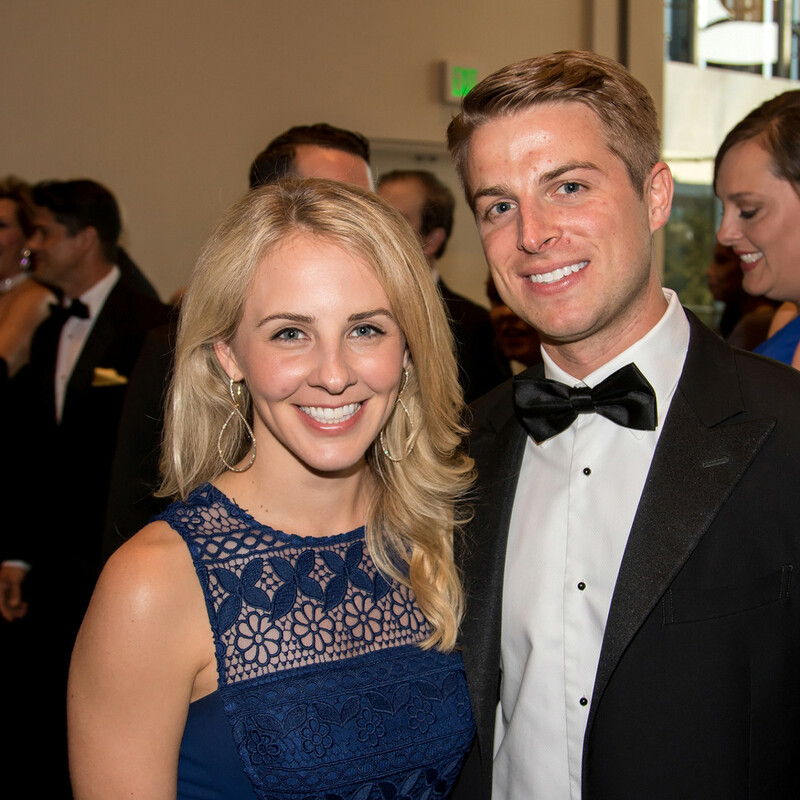 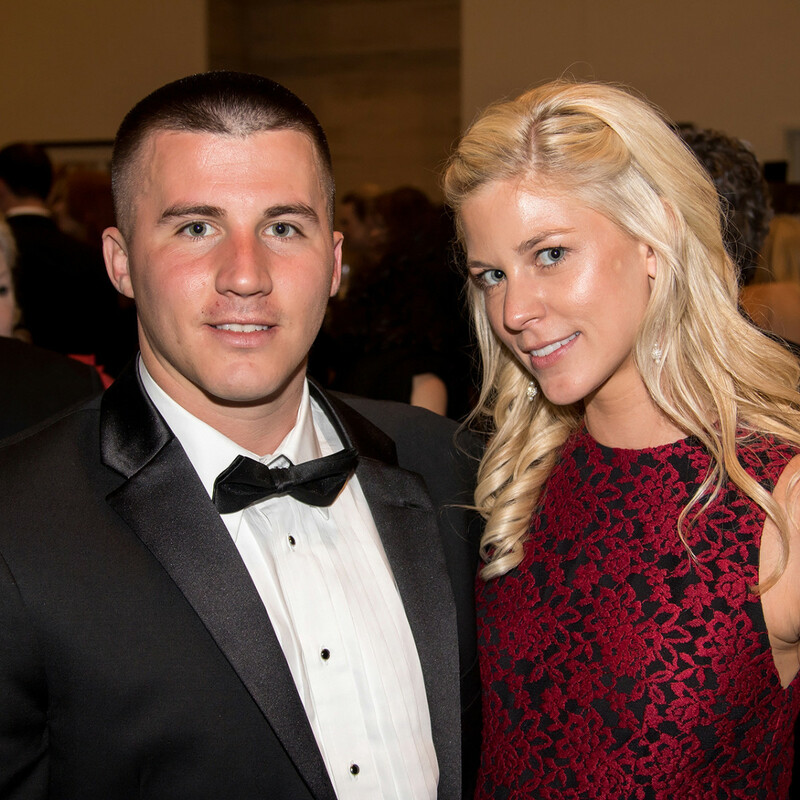 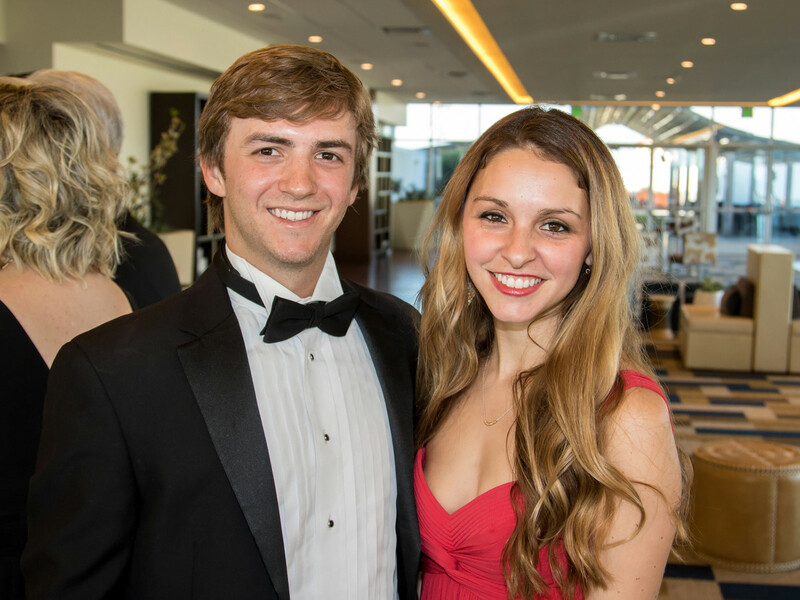 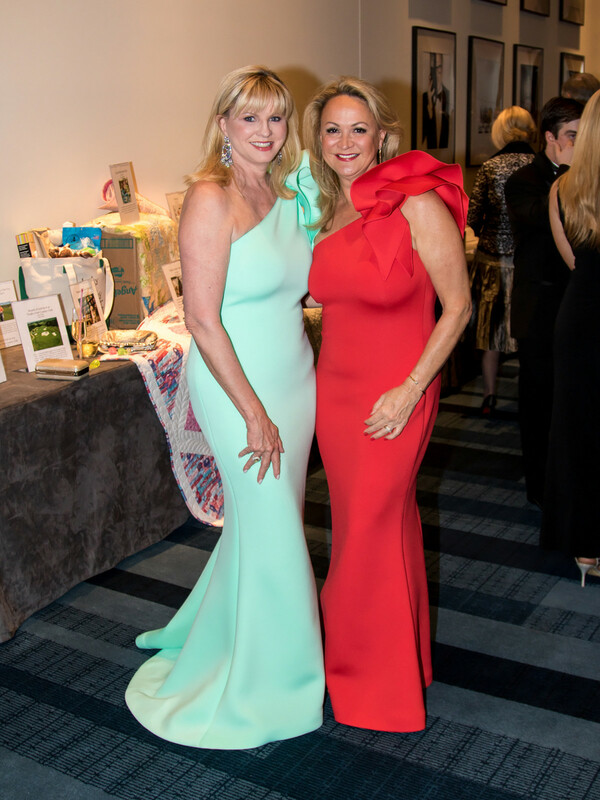 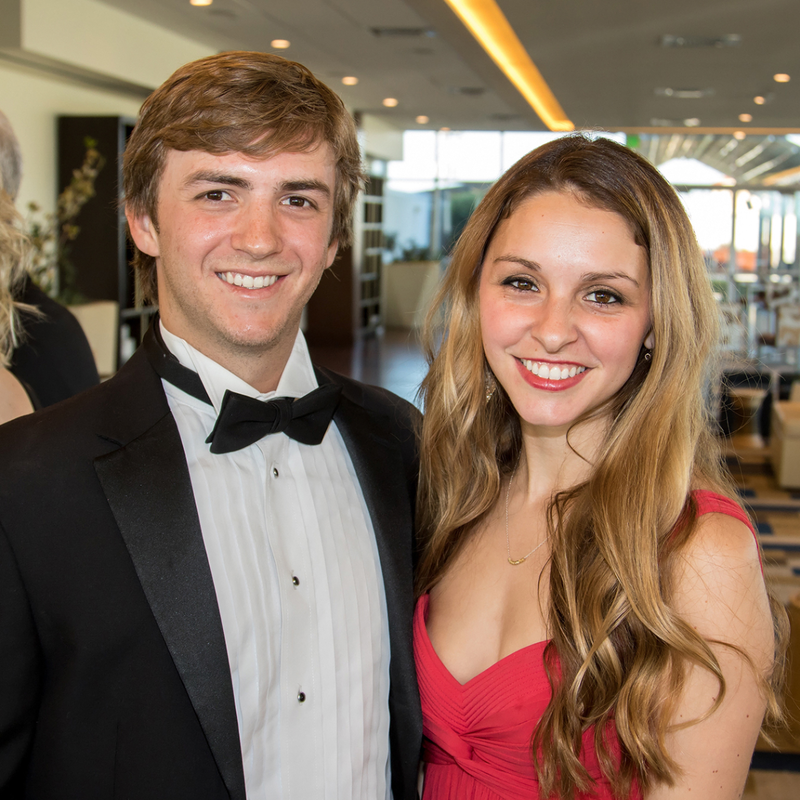 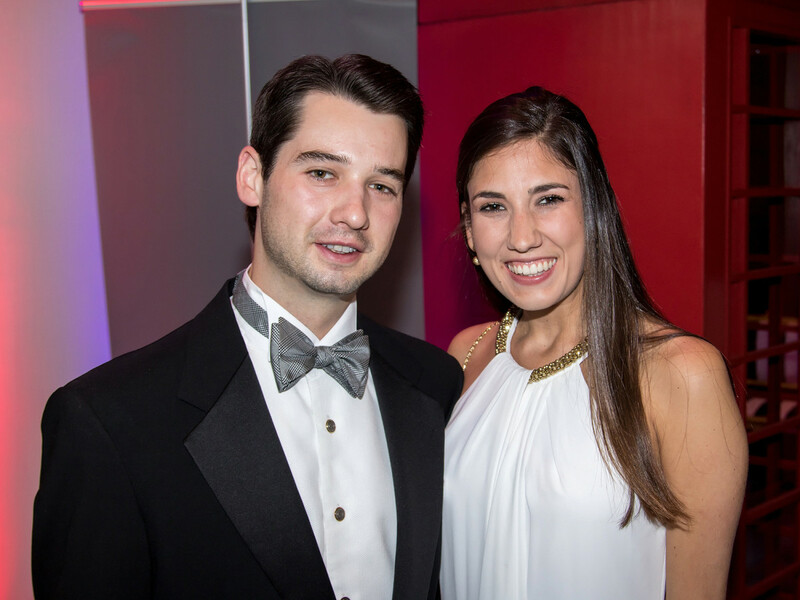 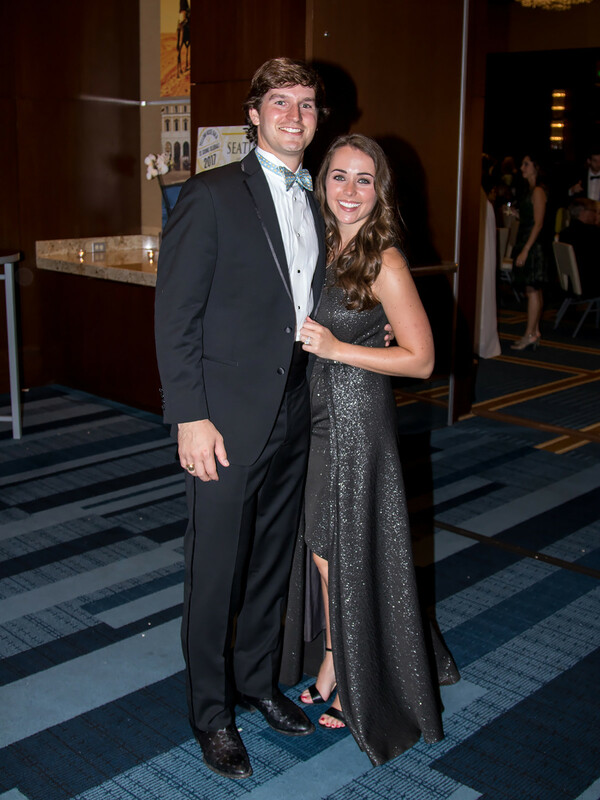 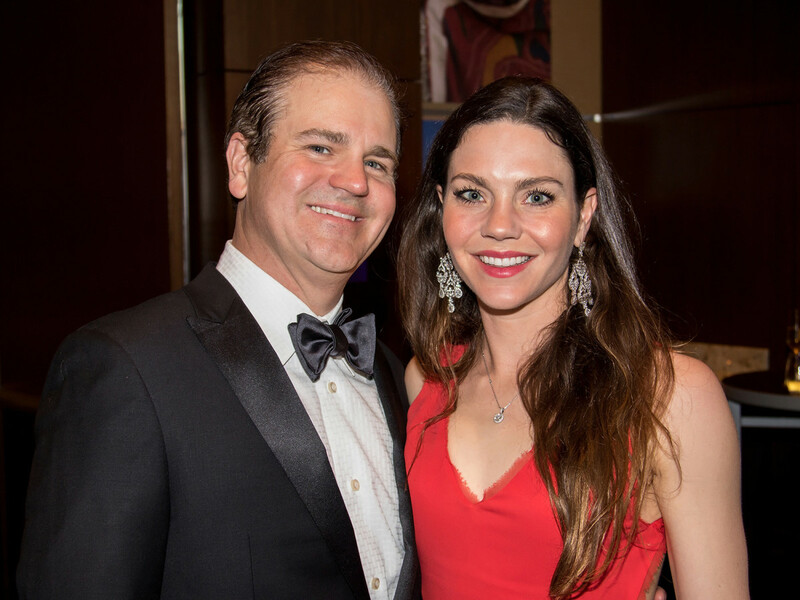 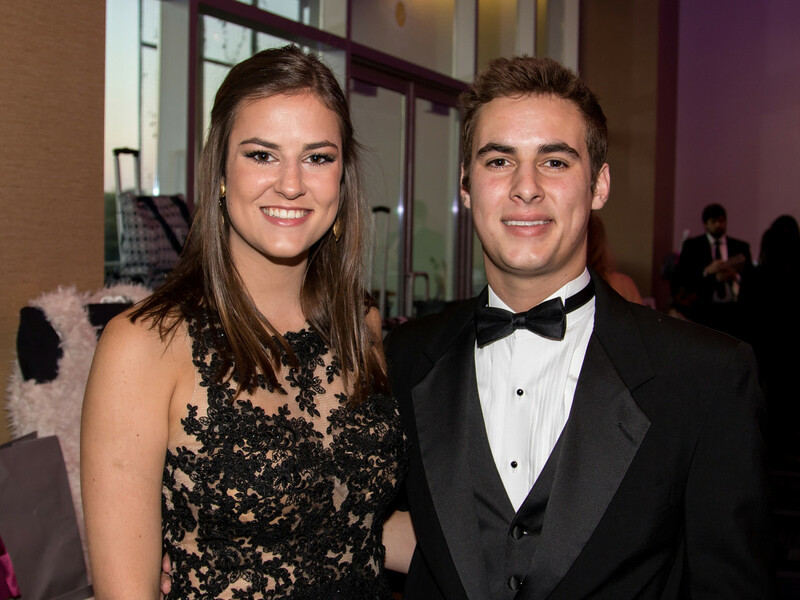 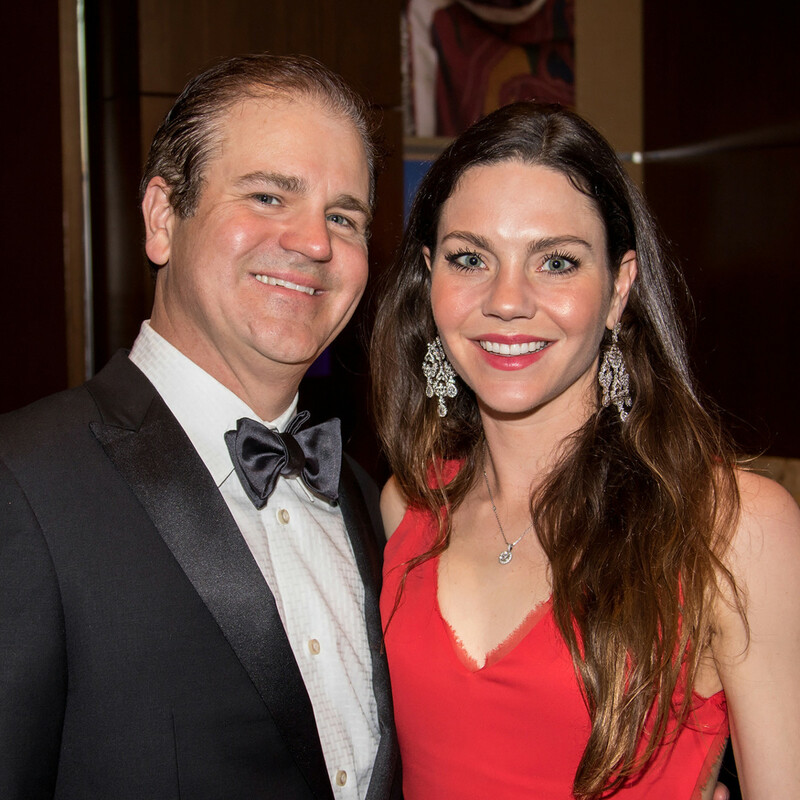 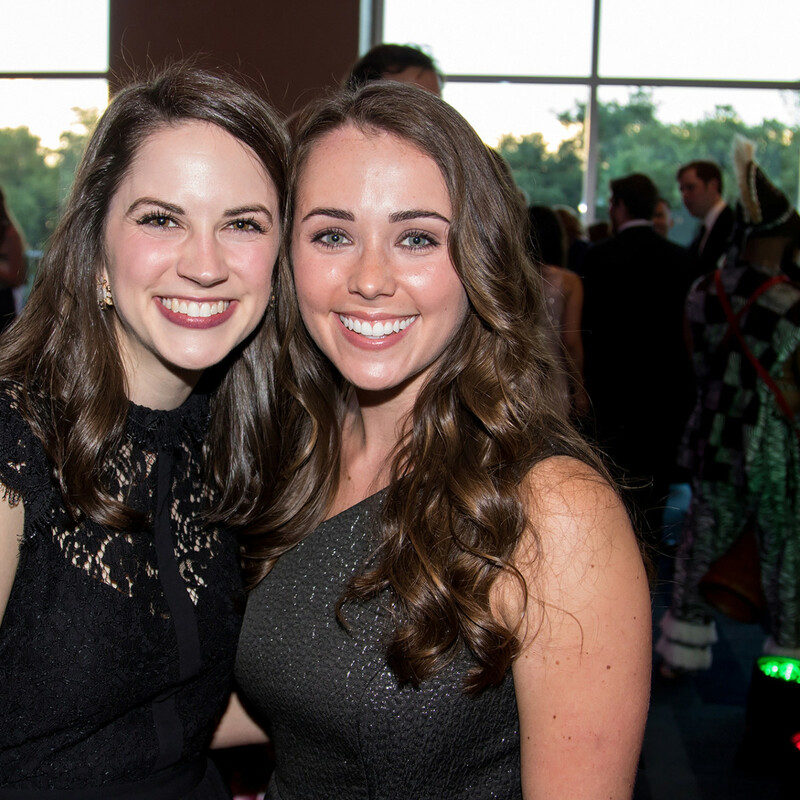 On April 8, they hosted it again at the Renaissance Dallas Hotel, and everyone in attendance could feel that Fallon has inherited her mother’s tenacity for finding a cure for MS. And her talent for throwing a great party. 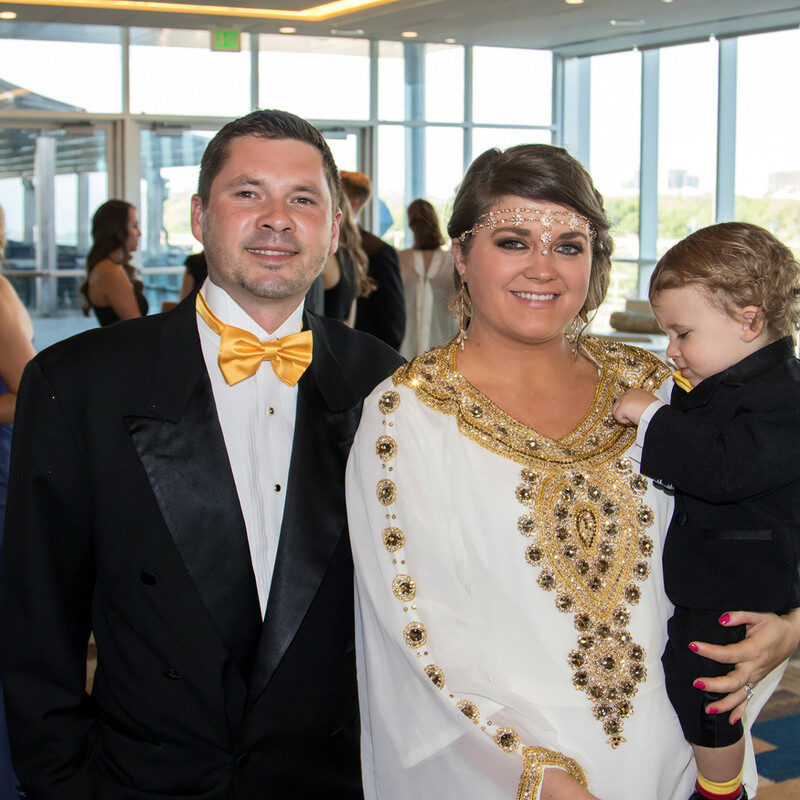 Pre-dinner, guests — including Cathy and Jim Casey, Shannon and Tyler Nelson, Stacie and Jon Wright, Adrianne and Kirkland Taylor, Allison and James Jackson, and Lauren and Brett Martin — also placed bids on myriad silent auction items and posed for photos in front of the signature wall of yellow roses before finding their places in the ballroom. 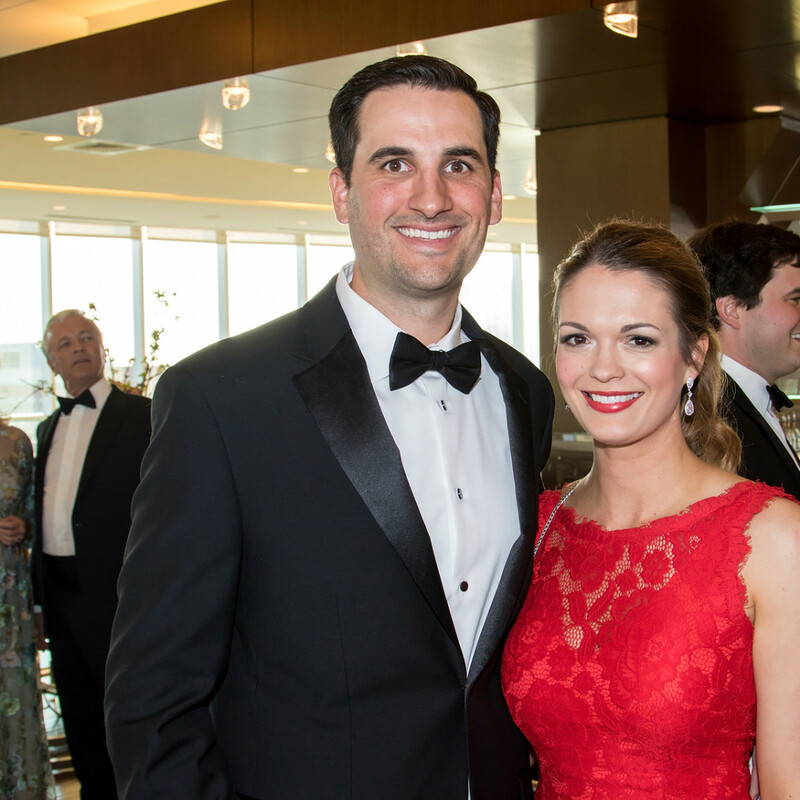 Awaiting them there was a three-course meal, awards presentation (honorees included the Mary Ann and Eugene Smith family and Walker H. Bateman IV), live auction, and a rousing performance by headliner The Temptations. 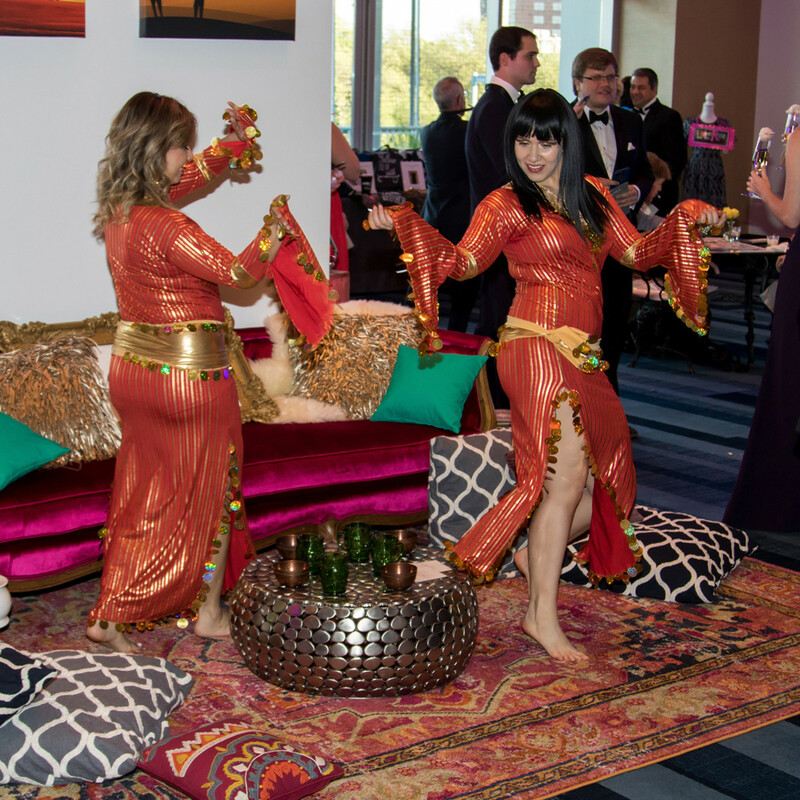 But the entertainment didn’t stop there. 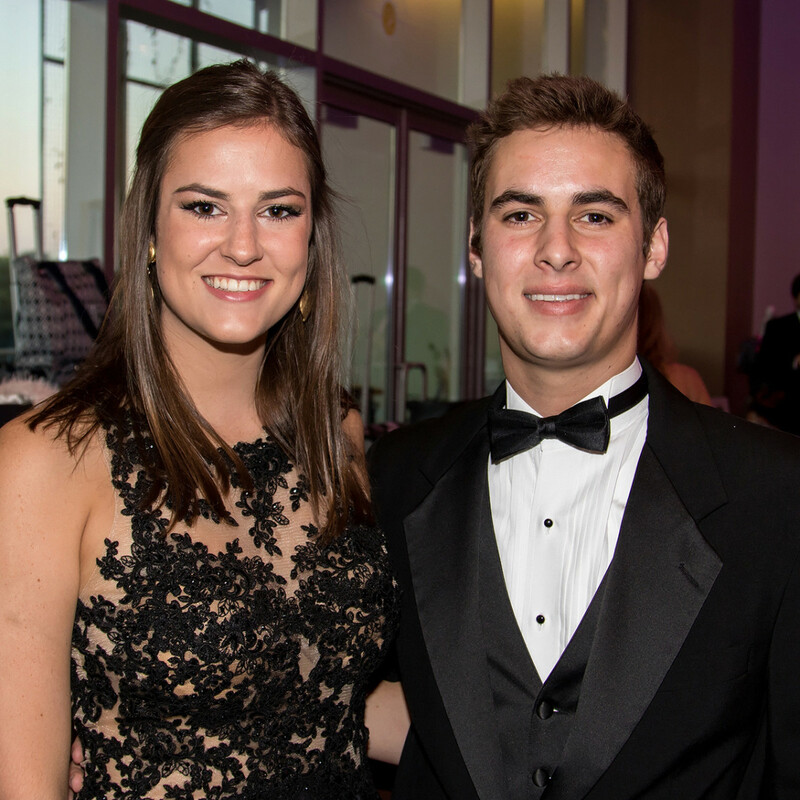 These young movers and shakers kept the party going into the wee hours, dancing to tunes from Manhattan and DJ Richie Demeglio. 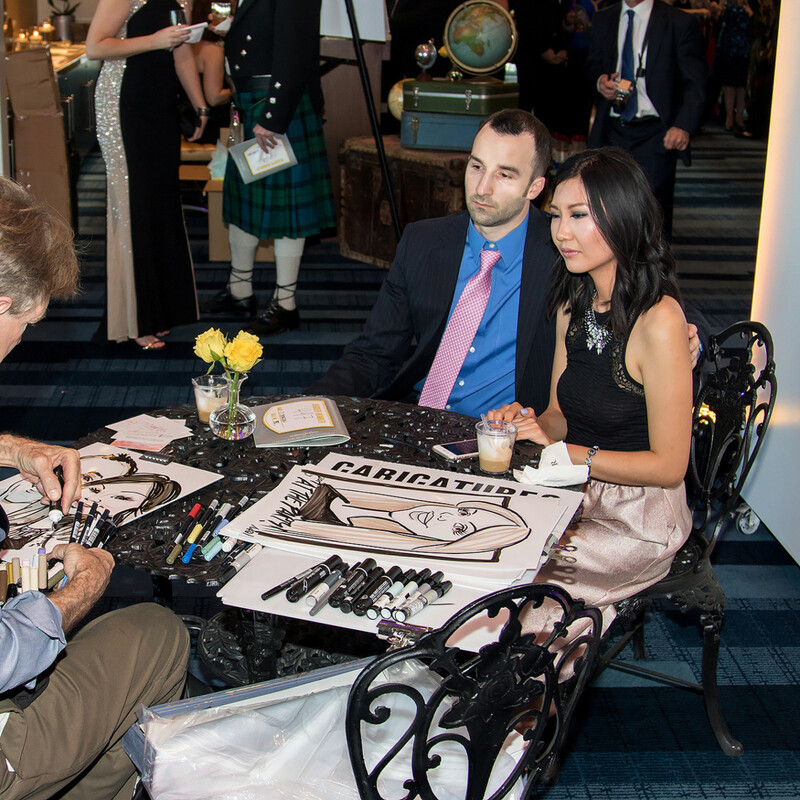 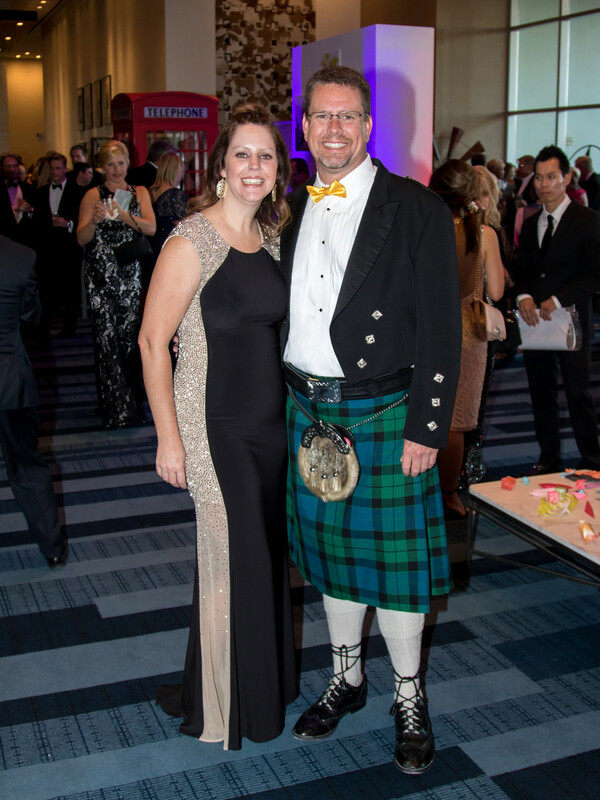 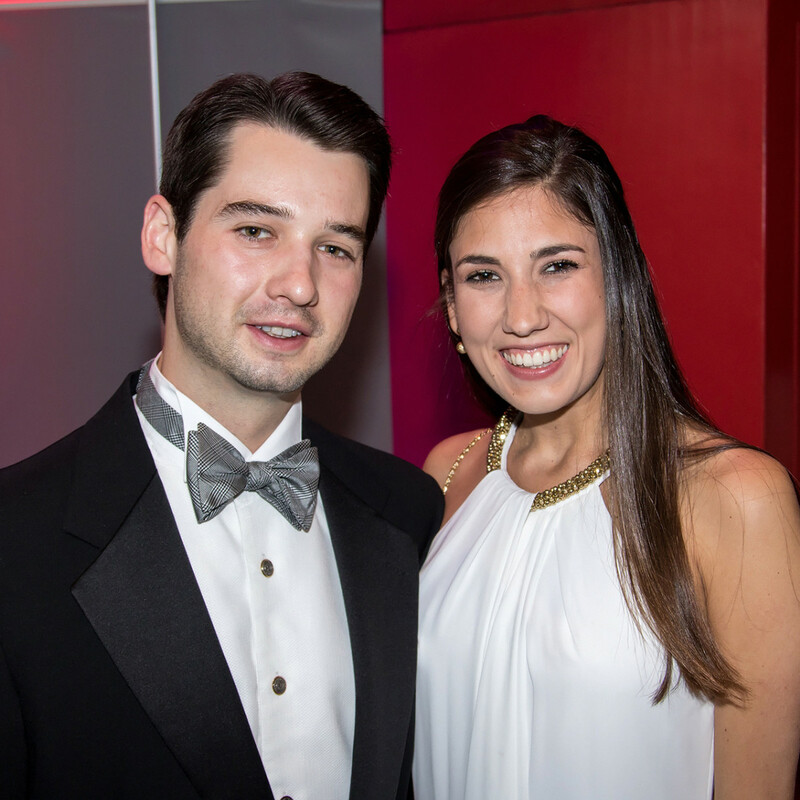 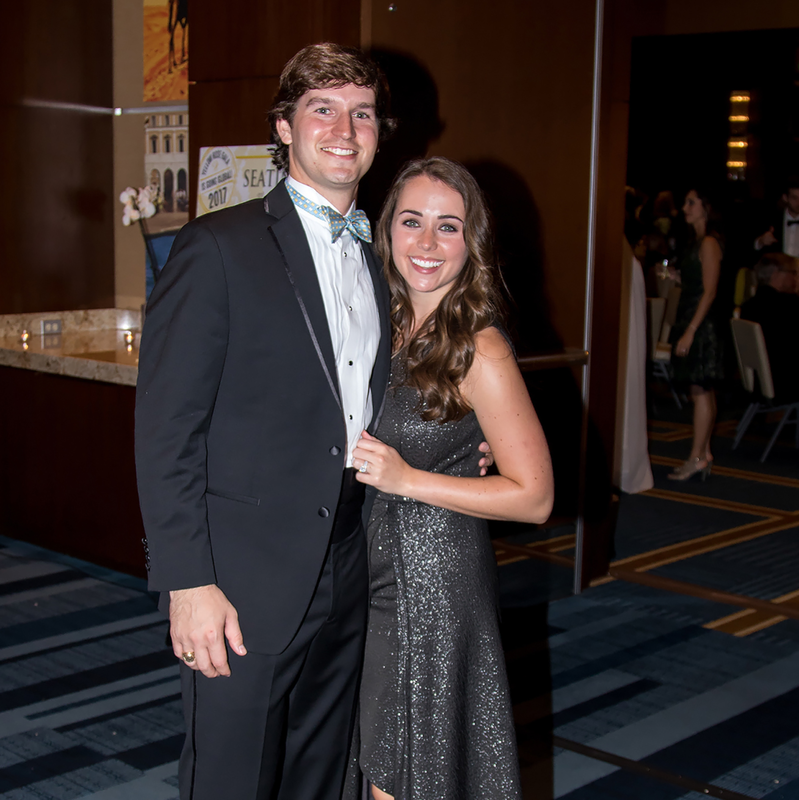 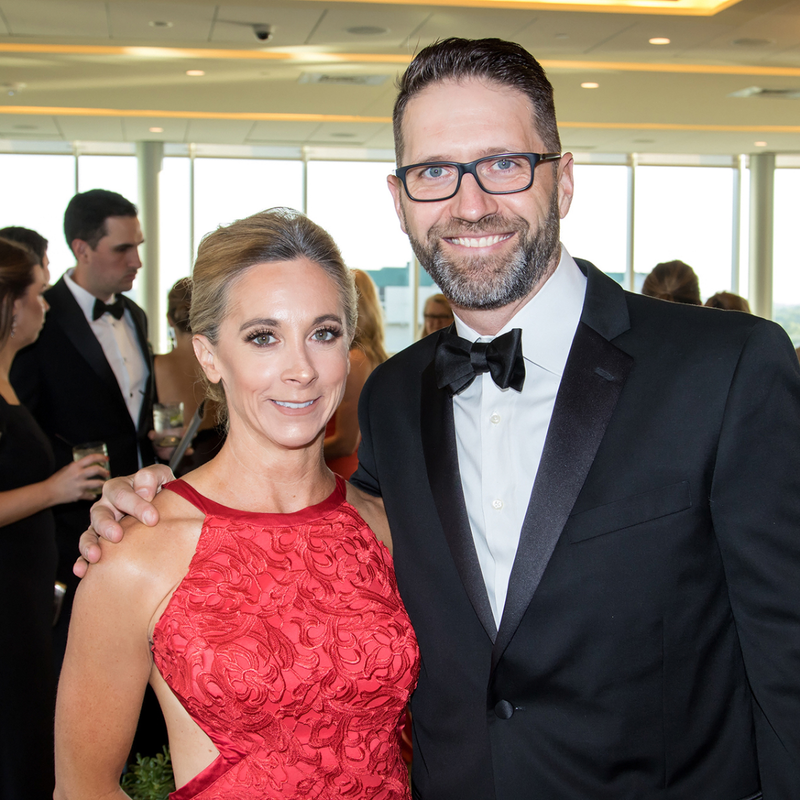 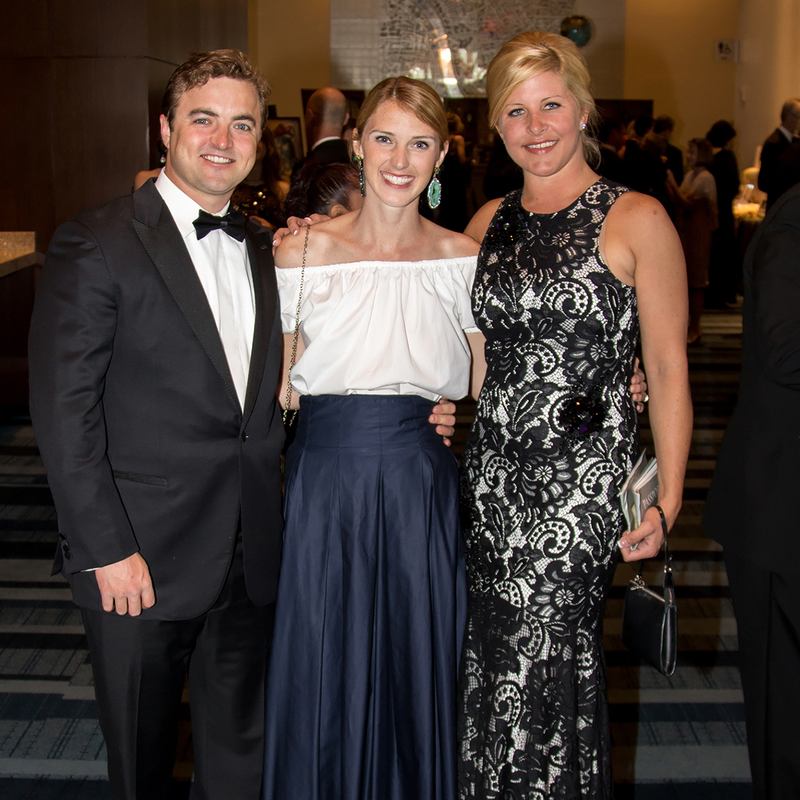 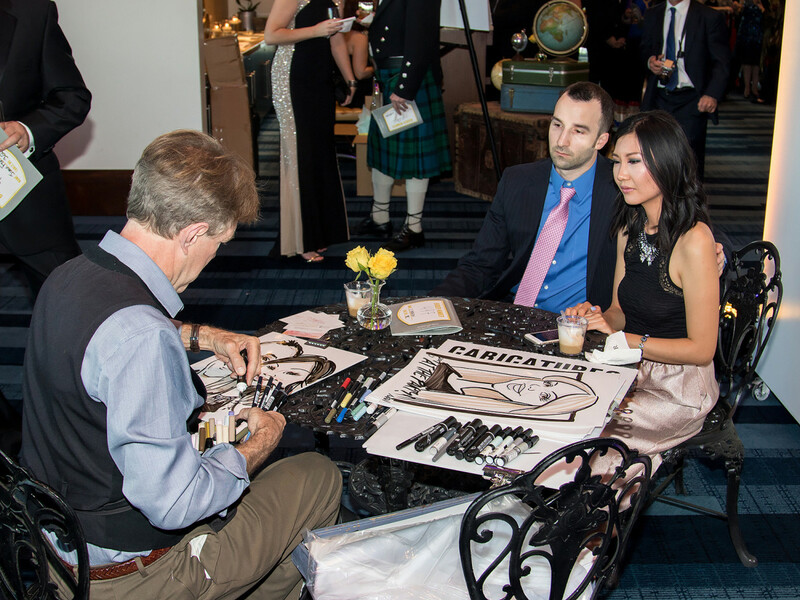 Despite all the fun, the cause was never far from anyone’s minds: The Yellow Rose Gala Foundation, in partnership with the National MS Society, is one of the top four U.S. fundraisers for progressive MS through the International Progressive MS Alliance. 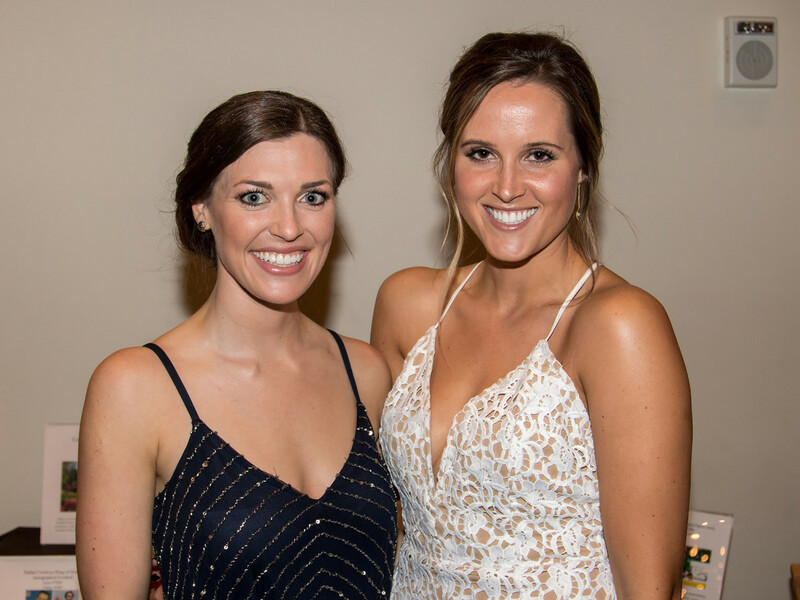 Something tells us Fallon won’t slow down until her foundation is the No. 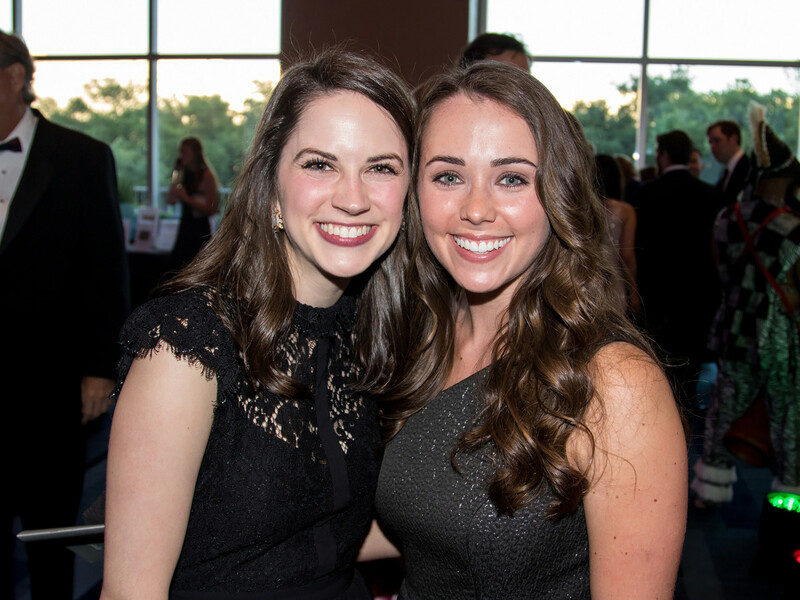 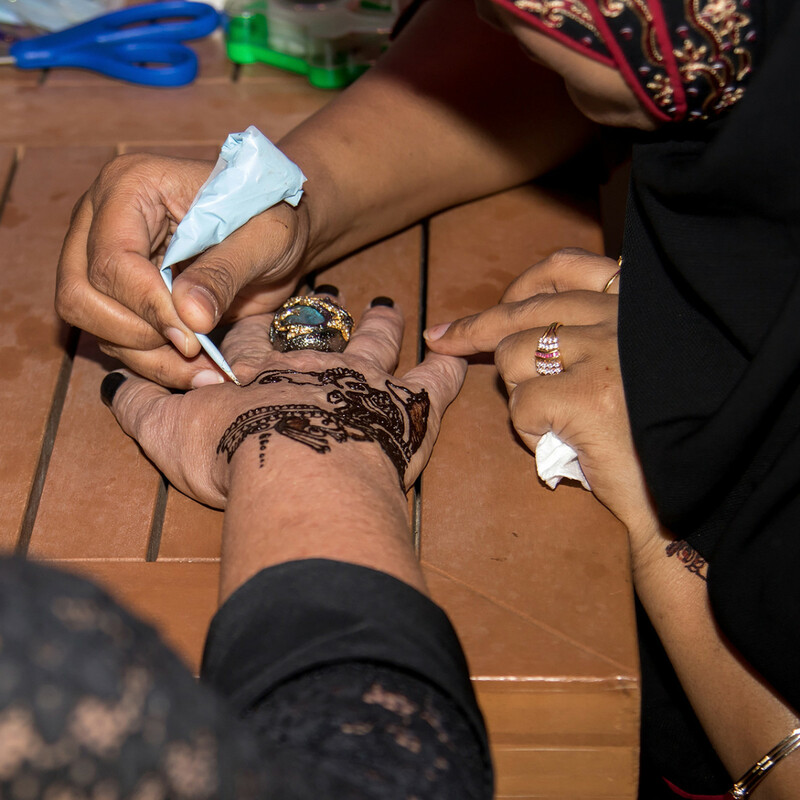 1 fundraiser — and she helps fulfill her mom’s dream of finding a cure.